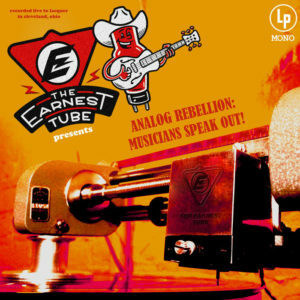 * = As part of Earnest Tube’s inaugural compilation entitled “Analog Rebellion”. Purchase Vinyl Here! / Stream Here! -Charles Hill Jr. (Cleveland, OH) Purchase Here! -Tim Easton (Nashville, TN) Purchase Here! -Steel City Jug Slammers (Birmingham, AL) Stream Session 1 Here! Stream Session 2 Here! -Thor Platter (Cleveland, OH) Watch Video Here! -Moose Roberts (Bristol, VA) Purchase Here! -Chris Bishop (Stafford, VA) Purchase Here! -Jason “Hoss” Hicks (Norfolk, VA) Full-length album coming soon!